Our summer produce is sold wholesale daily from mid-July through mid-September. 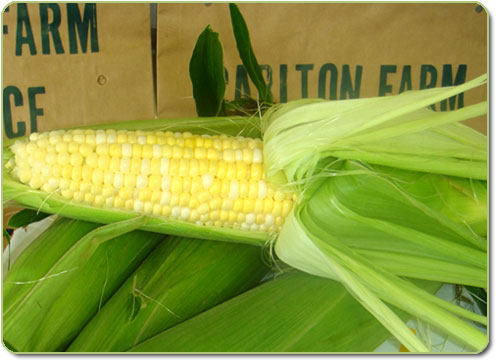 We're best known for our sweet corn, zucchini, and yellow squash. 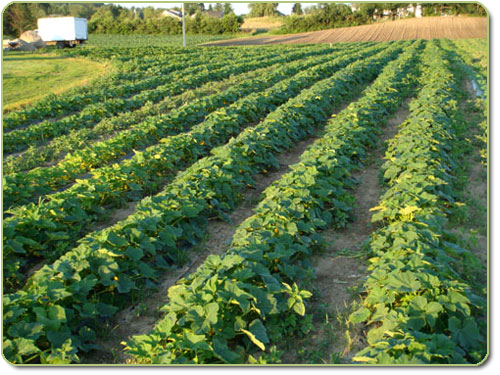 At Carlton Farm Produce we grow about 6 acres under black plastic mulch using drip irrigation. This keeps the weeds out and ensures our plants are getting the water they need in the most efficient way possible. We also grow about 15-18 acres of sweet corn per year. We begin planting in the Spring and continue through early Summer. We plant in regular weekly intervals to ensure we have corn maturing all throughout the Summer. All of our produce is handpicked and handled with care in the fields. After picked our produce is washed/packaged and then stored in a cooler for wholesale pickup. While we strive to grow everything on our farm there is some produce that local farms** (within 20 miles) are able to supply us. This is to ensure we are a 1 stop shop for our customers. Please place orders at least 24-48hrs ahead of planned pickup. Delivery is also available at an additional charge. This year we have grown 5 different varieties but are continuously trying new varieties to best suit our customers taste buds.